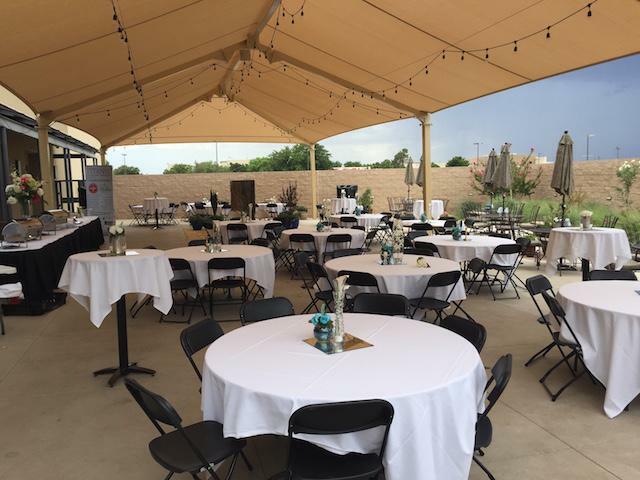 Have your next event right here! 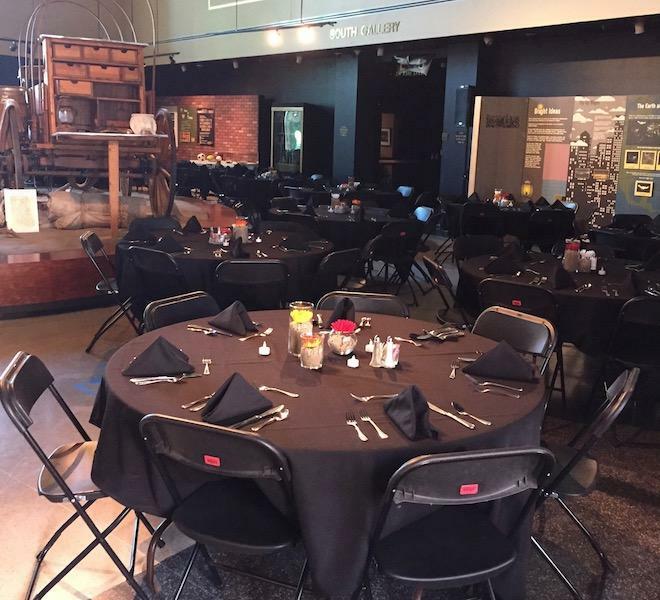 The Western Heritage Museum and Lea County Cowboy Hall of Fame is available for meetings, luncheons, and other private functions. 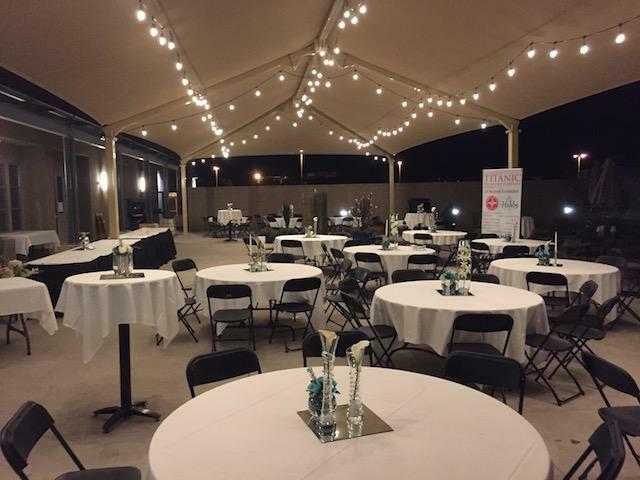 SODEXO provides a full range of catering services to make every event a special, pleasant, and memorable occasion. 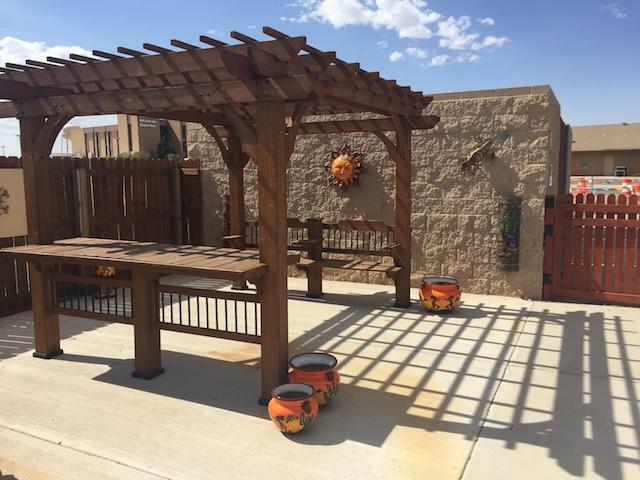 For more information about renting our facility call or e-mail Darrell Beauchamp at 575-492-2676 or dbeauchamp@nmjc.edu. Click here for a sample rental agreement. Click here for SODEXO catering agreement. Chuckwagon Room - This gallery can seat up to 200 people for a sit-down meal. Patio - The back patio is covered and can be transformed into a space for dinners, showers, weddings and more. Patio - At night you'll get the lights hanging from the awning. A lovely space. 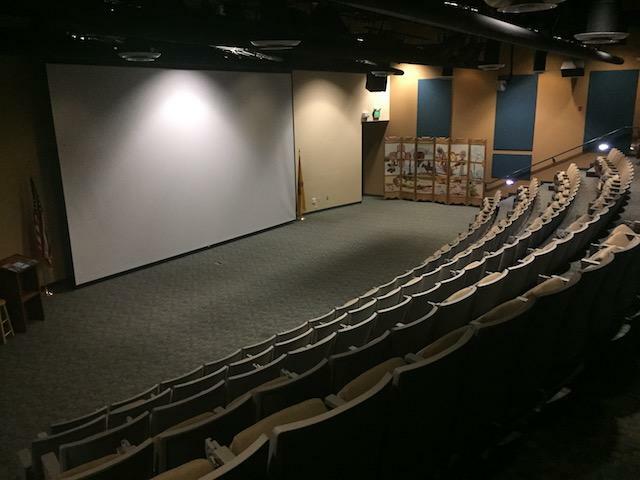 Theater - This room is fully equipped for presentations, trainings and movies. There are 140 seats. 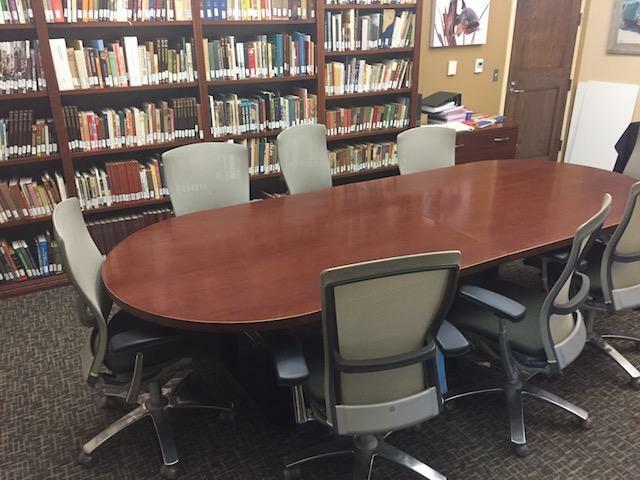 Conference Room - This space can seat 12 comfortably. Garden - There's a lovely little area in our Community Gardens that's perfect for classes or a small event.